The Alliance 900 is driven by a 2.5 HP motor whose maximum speed is up to 10mph and can be inclined up to 12%. The large belt size of 56"x20" makes you comfortable to workout . This folding type treadmill comes with preset programs which will help you to get desired results in workouts. 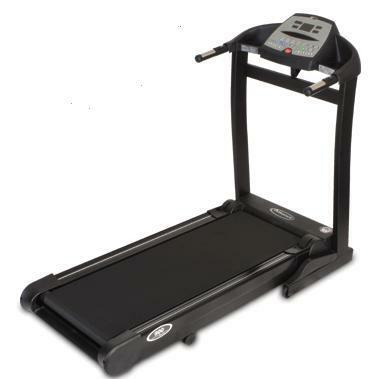 ToughTrain 3.5 out of 5 A reliable treadmill with sufficient features and a superb motor warranty. *Note: Most of the sites, stores or shopping portals listed above sell Alliance 900 Treadmill with discounts and other exciting offers. There is a possibility that the some of above websites are not selling Alliance 900 Treadmill now. Toughtrain.com is not liable for such cases or instances. Also we do not recommend any seller for Alliance 900 Treadmill and a buyer should buy from where he/she gets best deal with quality of products, service and on time delivery (shipment). One of the gem in the fitness world…… Its nearly 2 year since i bought this machine, its working fine. Only had a minor issue with its motor, which was fixed by a service technician. Drawback of this machine is the lack of advanced features like no huge LCD screen, smaller running space, but what much can you expect at this price.